Two Miimo Models: Depending on your lawn size and complexity, choose between Miimo HRM310, covering up to 0.37 acres and Miimo HRM520, covering up to 0.75 acres. 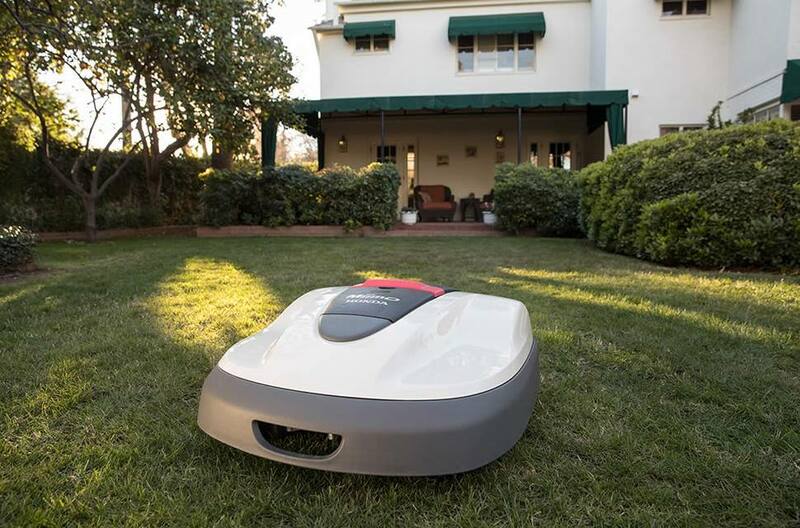 3 Cutting Patterns: Miimo offers three main programmable cutting patterns, Random, Directional or Mixed, to optimize its performance on different lawn sizes and shapes. The result? An even and consistent cut, with less stress on the lawn. Special Blades: Miimo's three special blades are durable, efficient and long lasting. The blades automatically switch between clockwise and counter-clockwise spinning, decreasing wear and increasing life span. The blades swing back in the blade disc if a hard object is struck, reducing damage. 360° Awareness Sensors: Miimo is equipped with advanced sensors and a floating cover that detect obstacles. Miimo senses any contact and immediately changes direction. And Miimo knows it is lifted or tilted, stopping the blades automatically. These intelligent sensors help to keep Miimo – and its surroundings - safe. Recharging System: Miimo's long life lithium-ion battery not only offers a quiet power source, but it is also very cost efficient to run. And Miimo is intelligent, so it automatically returns to its docking station to recharge when it is running low on power. Anti-Theft Security: Miimo is protected by a unique security PIN, which prevents unauthorized access and usage. If lifted, it sounds an alarm and immediately disengages operation. Miimo will only resume mowing when the owner enters their unique PIN. 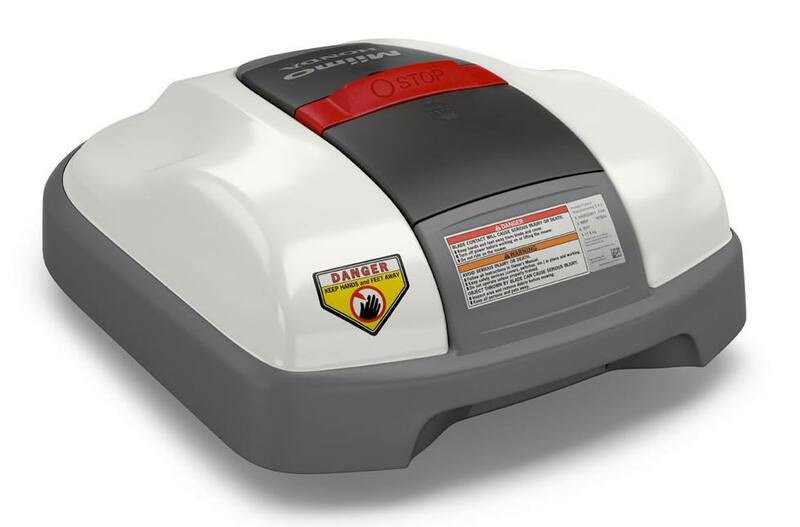 Mow Day or Night: Set the right schedule for you. Miimo is happy to work day or night - so you wake up to a perfect lawn everyday. 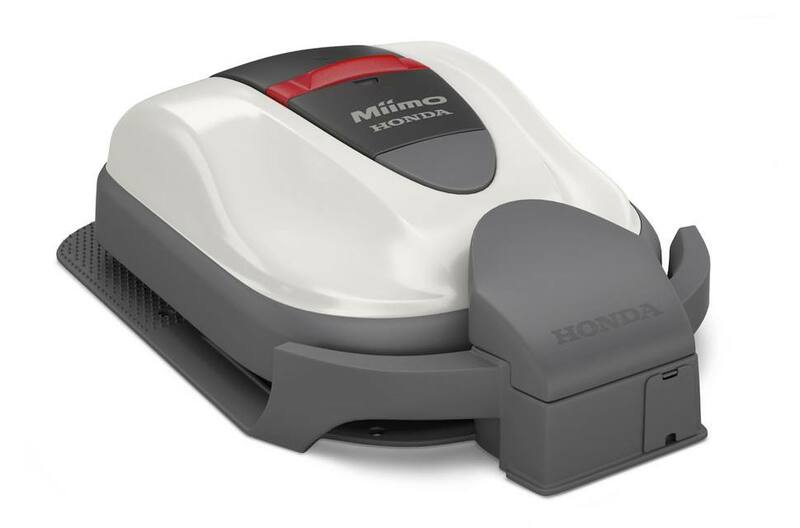 Quiet Operation: Miimo is an electric mower, so it's very quiet. And if you need it to be even stealthier at night, just engage quiet mode. Miimo can reduce its noise even further. Healthier Grass: Miimo's frequent, small cuttings create tiny grass pieces that fertilize your lawn. 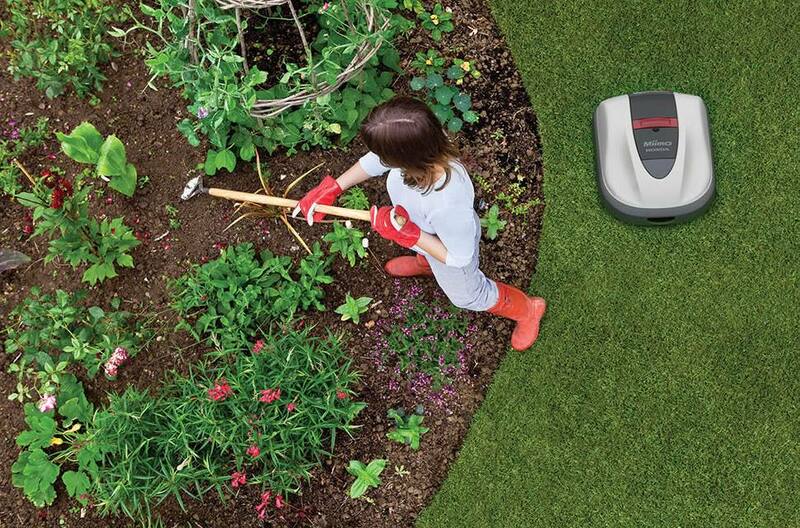 Plus Miimo's constant mowing makes it harder for weeds to take hold. So your lawn is healthier and beautiful every day. 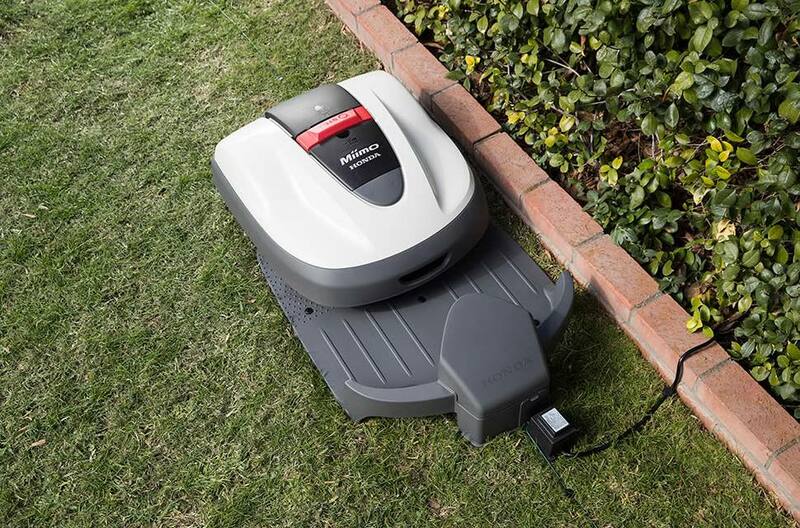 Handles Slopes and Obstacles: Miimo handles even complex lawns with ease. Miimo can mow on slopes as steep as 25° degrees. 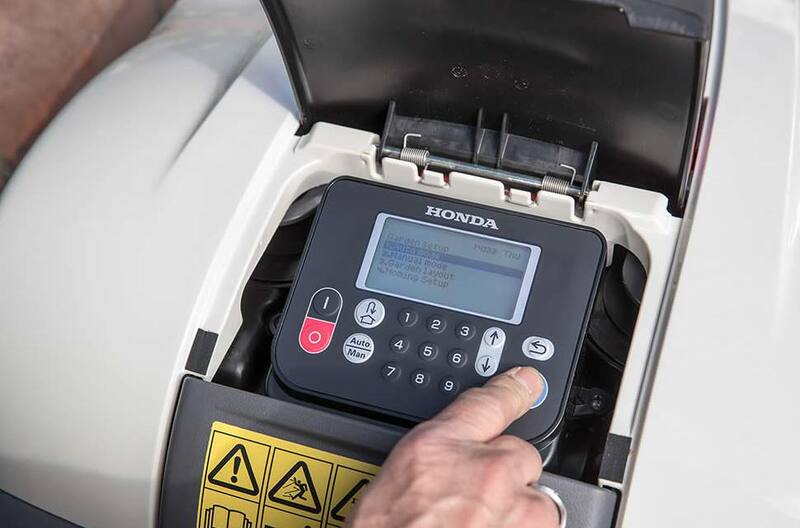 It can navigate smoothly around features like ponds, flower beds, narrow passages, swimming pools, trees, and more. 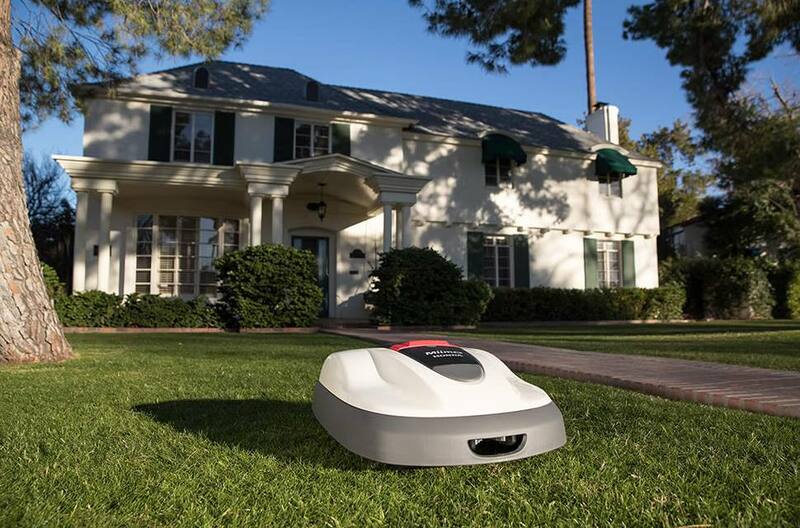 Customizable Starting Points: Starting points help Miimo to reach all areas of your yard - ensuring efficient coverage for even the most complex yards. Up to three starting points can be programmed for the Miimo 310 and up to five starting points for the Miimo 520. Spiral Cutting: If Miimo encounters areas of longer, thicker grass, it automatically cuts in a concentrated spiral pattern. This improves the cut quality. Miimo then changes back to normal cutting and continues mowing the rest of the yard. Edge Cutting: Miimo keeps the borders of the lawn looking neat and finished by cutting along the guide wire twice a week. This ensures no spots are missed along the edge of the boundary. Seasonal Timer: Miimo can be programmed to automatically adapts to the season and grass growth rate, cutting more or less often based on grass conditions. Easy Set Up Wizard: It's easy to configure the settings for the mowing operation of your Miimo. The Set Up Wizard walks you through, step by step. Quick Turn: Miimo quickly and smoothly turns away from the boundary wire without stopping or backing up. This improves cutting efficiency. Easy to Adjust Cutting Heights: Miimo’s cutting heights can be adjusted from 0.8" to 2.4" simply with the turn of a knob. Two Year Warranty: Miimo has a full two year warranty for residential and commercial use. So you can have peace of mind.